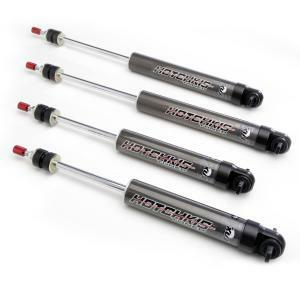 The Hotchkis Tuned 1.5 Street Performance Series (SPS) Shocks by Fox are specifically developed by Hotchkis ride engineers to offer a smooth ride and exceptional control for your Classics Muscle Car or Truck. The unique 1.5 Series Street Performance Series Shock Absorbers feature the latest cutting edge monotube technology packaged in a lightweight smooth-bore Type III hard anodized aluminum body. 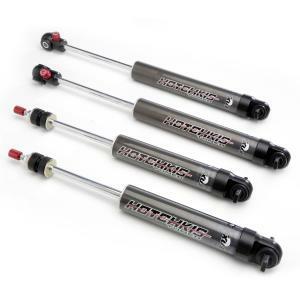 Hotchkis Tuned Performance Shocks feature smooth riding digressive disc technology, a high-flow piston, specially formulated oil and high pressure nitrogen for consistent performance under extreme driving conditions. 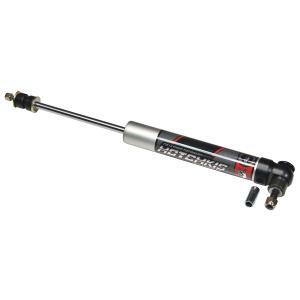 For excellent durability they feature a ½”hard chrome plated heat treated alloy shaft subjected to 100 hour salt spray testing. 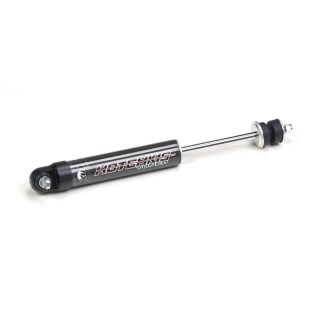 To prevent contaminants from entering the shock, the rod guide employs a wiper/scraper dual seal which cleans the shaft before reaching the main seal, therefore, eliminating the need for a shock boot. The billet end caps are black anodized 6061-T6 billet aluminum and feature polyurethane bushings. 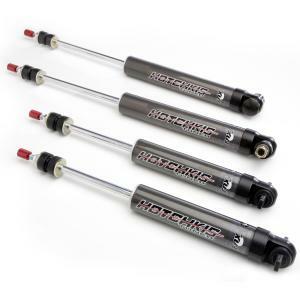 CNC machined cross bars and vehicle specific mounting hardware make the Hotchkis Tuned Shocks by Fox a direct replacement for your stock Classic Muscle Car or Truck. 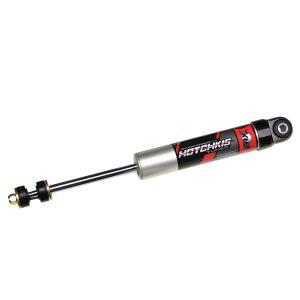 For the ultra demanding driver an adjustable version, the Adjustable Performance Series (APS) Hotchkis Tuned Shocks, feature 22 levels of rebound adjustment. 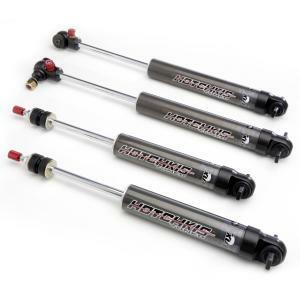 Bolt on a set of Hotchkis Tuned SPS or APS shocks today and experience the dramatic difference. Found 60 item(s) matching your search.